Cash Register Services can provide you with powerful software solutions for your electronic point of sales terminals. Our engineers are fully qualified and have achieved the advanced programmers certification by Casio. 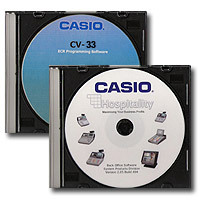 The Casio hospitality program is a full historical sales reporting tool with editing software. Its's features include; schedule reporting, journal viewer, sales analysis, department, group, plus a host of other beneficial functions. The new version networks to the Casio QT-6100 Touch screen Terminal. Comprehensive; yet simple to use, this software incorporates Stock Control, Profit analysis, Complete maintenance of the Point of Sale Terminal, Product Ordering and historical sales reporting. Casio Business Management Solution (CBMS) is a back office solution that is designed and flexible enough to benefit both Hospitality (Pubs/Restaurants, Fast Food, Coffee shop, Hotels) and Retail (Convenience Stores, Off Licences, Newsagents) businesses alike. The solution is a sales and program management system enabling complete control of your stock and profit. • Easy drag and drop facility for adding new products and functions to the keyboard. Various software packages featuring versatile programming and stock control are available to provide further support for daily operations and to suit variety types of businesses. • Ftp to enable information to be sent automatically to a remote PC destination. Automatically Communicate with your Epos system from the comfort and security of your Home or Office. Our Back Office Management Software Touch Office automatically collects detailed Sales information from your Epos system, either at your premises via the internet or over a standard Telephone line. Reports can be called up on the computer screen, printed, or exported to certain other software packages, such as Excel or Sage Line 50. 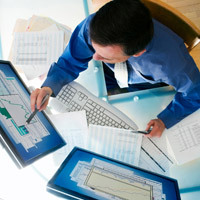 We can also configure your system to print a pre-defined selection of daily and weekly reports. For additional information click the .pdf logo for the brochure.